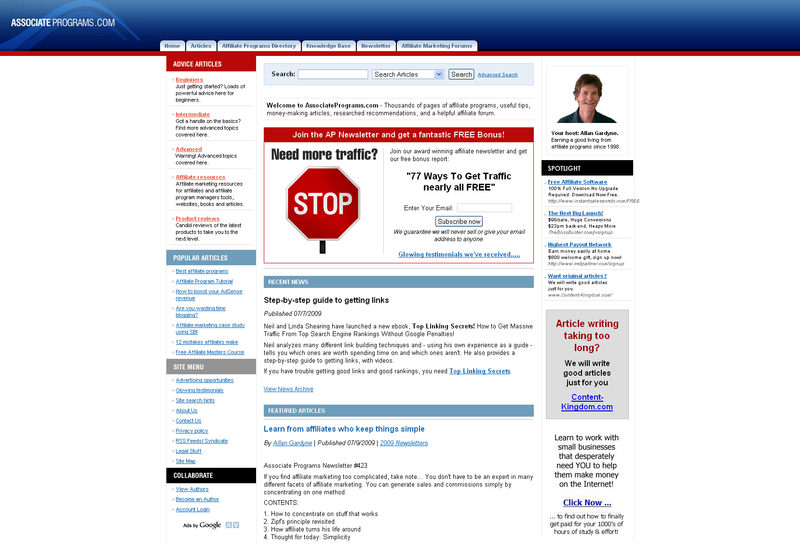 Unsold ad inventory on your web site can be not only a loss of income, but also an eye sore. Depending on the style of site, you can fill those empty slots with eye-catching graphics and hopefully turn some of those eyes into revenue generators by filling them up with affiliate marketing links. While the majority of affiliate programs only pay on a completed sale, others pay on leads and clicks, it’s just a matter of finding them. 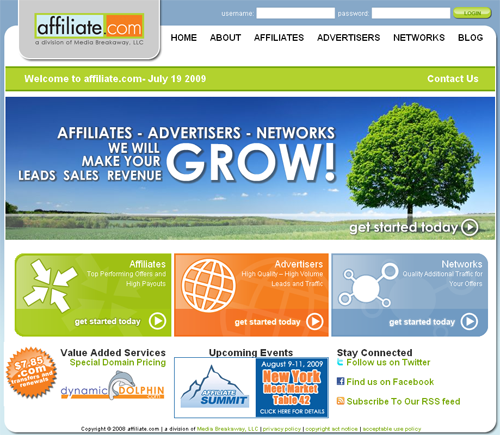 We’ve gathered up 13 top performing affiliate networks to help you locate the perfect program for your site. And while a good chunk of them are focused on site visitors in the United States, we’ve also found some for you that service countries throughout Europe and parts of Asia. We’ve also thrown in a fourteenth bonus site that isn’t a network, but is instead a large directory of affiliate programs from numerous different networks so you can concentrate on finding the perfect program without having to hunt and peck through dozens of sites for it. 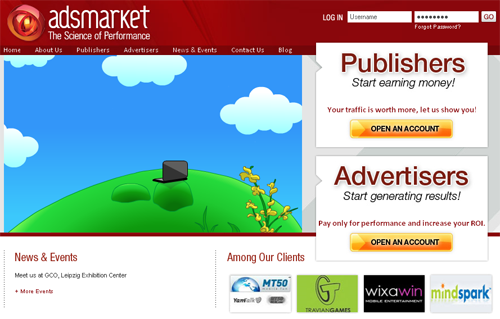 Adsmarket.com: Adsmarket offers advertisers across categories such as dating, health, finance and more. Payments are made via PayPal or check within 30 days of payment from the advertiser. If for some reason the advertiser is late with the payment, Adsmarket will still pay you for the sale. Affiliate.com: Affiliate offers weekly payments if you hit $1000 per week, while all others will be paid on a monthly basis when you hit the $100 payment threshold. 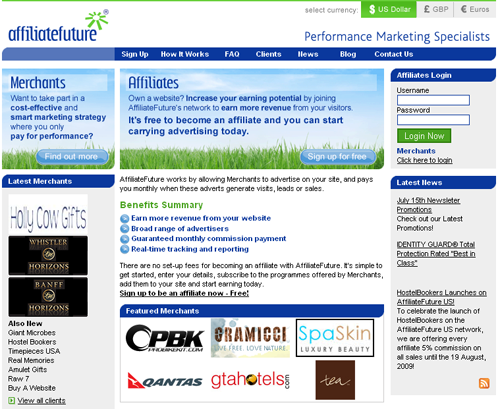 AffiliateFuture.com: AffiliateFuture has a stable of several hundred merchants, including the rarity of a few adult brands. Overall, the merchants are a mixture of large brands and smaller companies with a large focus on airlines and travel companies. The program is payable in US dollars, British pounds or Euros. 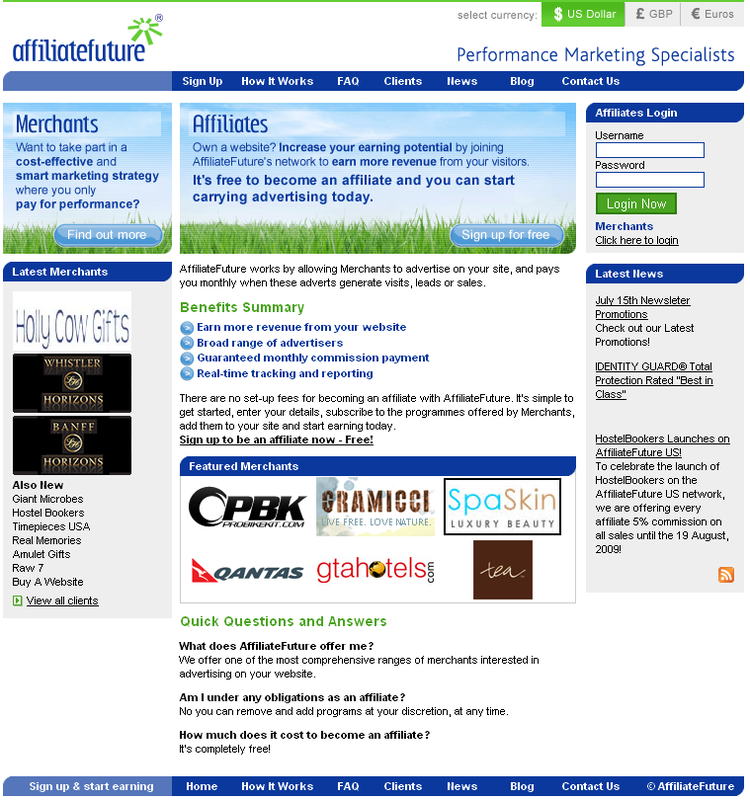 AssociatePrograms.com: While AssocitePrograms is not an affiliate system on its own, the site serves as a directory to nearly 11,000 merchants that offer programs you can join. 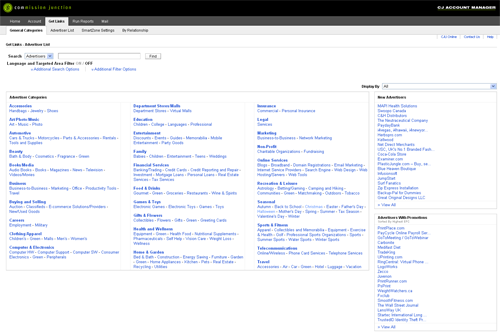 You can search by keywords or look programs up by category, and then follow the links to their sign up or information pages. 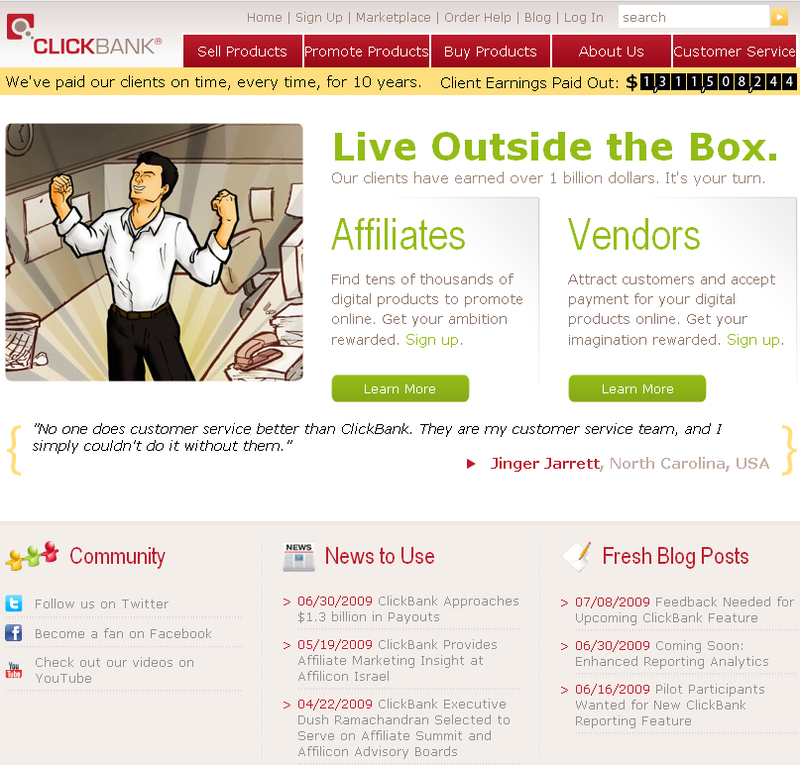 ClickBank.com: ClickBank offers commissions as high as 75% on some products and offers you the ability to run promotions in multiple languages. Payments are made via PayPal, direct deposit and checks. The programs are open to numerous countries including Australia, Austria, Belgium, India, Ireland, United States and several more. 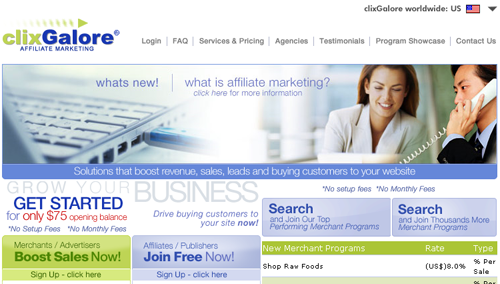 ClixGalore.com: ClixGalore offers an assortment of what appears to be niche-directed advertisers with a smattering of larger companies using their services. Payouts are at US$50, AUD$100, UK£35 or €60. Payments are made via PayPal or check (US residents/addresses only), with payments over $1000 being eligible for direct deposits. 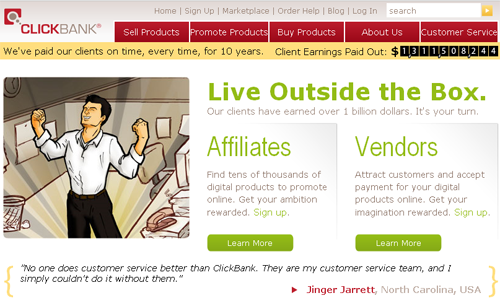 Commission Junction: One of the best known of the affiliate networks, CJ offers a mixture of extremely well-known consumer brands and smaller mom & pop style online merchants. Payments are available in Canadian Dollars, Euro, GBP Sterling, Swedish Krona and US Dollars with a minimum payout amount of US $100. Google Affiliate Network: While the Google Affiliate Network isn’t huge, they have around 500 merchants. It has concentrated on attracting many well known brand names into its stable. The system does give you a bit more information up front than most others do, letting you know about the average shopper in terms of age, education, median income, most common keywords and more. Payment is made within 30 days of when Google receives payment from the advertisers, and payments to partners are made twice a month. Minimum threshold for payment is $50. 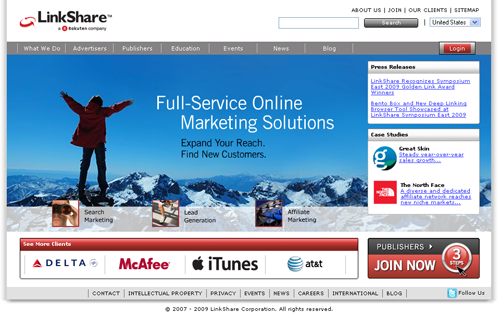 LinkConnector.com: LinkConnector is working at representing the large majority of the Web’s top 500 online merchants, already representing companies such as eHarmony and PeaPod. LinkConnector has added a patent pending technology called Naked Link, which will allow a publisher to link directly to an affiliate and make the link look less like an affiliate link to search engines. Payments are made on the 20th of each month with a payment threshold of $25. LinkShare.com: LinkShare runs the gamut from huge companies to smaller niche merchants. The biggest difference between LinkShare and other affiliate networks is that their minimum for payout is $1, but you can set it at other levels if you prefer not to deal with lots of small deposits. 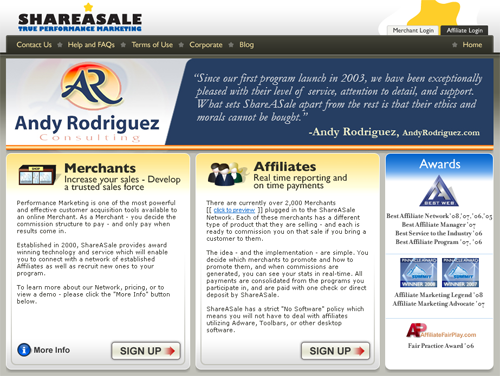 ShareASale.com: Around since 2003, ShareASale has close to 3000 merchants in their stable. Merchants are broken down by pay-per-sale, pay-per-lead and pay-per-click, or you can browse through the 39 main categories with numerous sub-categories. Payment can be by direct deposit or check. Payments are made on the 20th of each month if you reach $50 before the end of the previous month, otherwise all sales roll over to the next payment cycle. 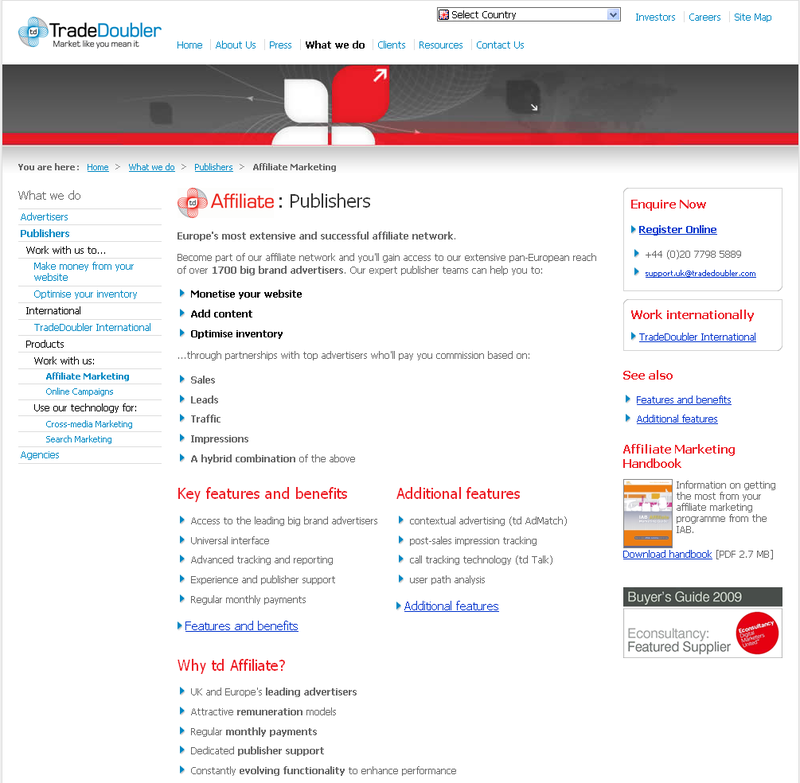 TradeDoubler.com: TradeDoubler focuses exclusively on the UK and Europe, offering over 1700 major name brand companies for you to choose from. 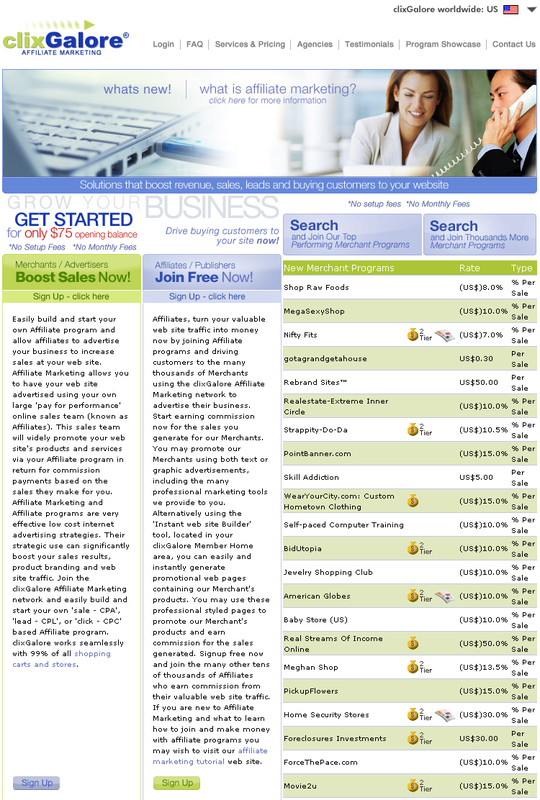 Opportunities are available for sales, leads, traffic, impressions or a combination of those. 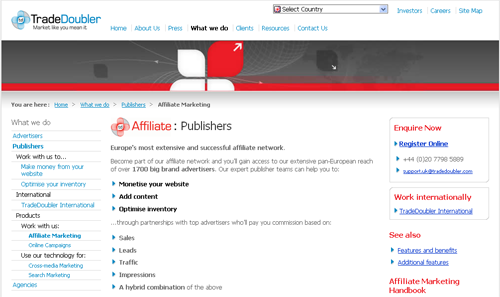 Webgains.com: Webgains offers region-specific advertisers for the United States and different countries throughout Europe. Payments vary by merchant, but vary in frequency from weekly to monthly. Payments are made by PayPal, bank account transfer or check. Merchants seem to vary wildly by country from niche to known brands. Zanox.com: Zanox offers over 2000 affiliate programs in eleven key countries and others that are available to global publishers. 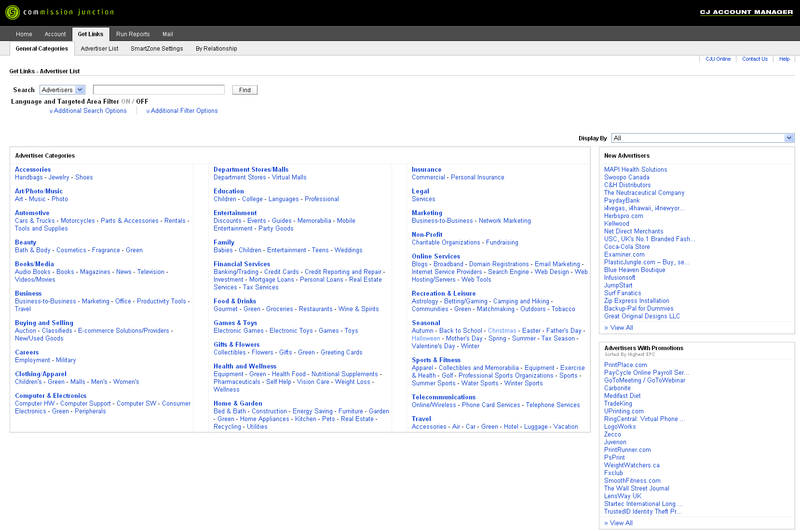 You can quickly check the potential of any program by checking out their AdRank. Companies are a mixture of well-known global brands and smaller companies that service specific niches.